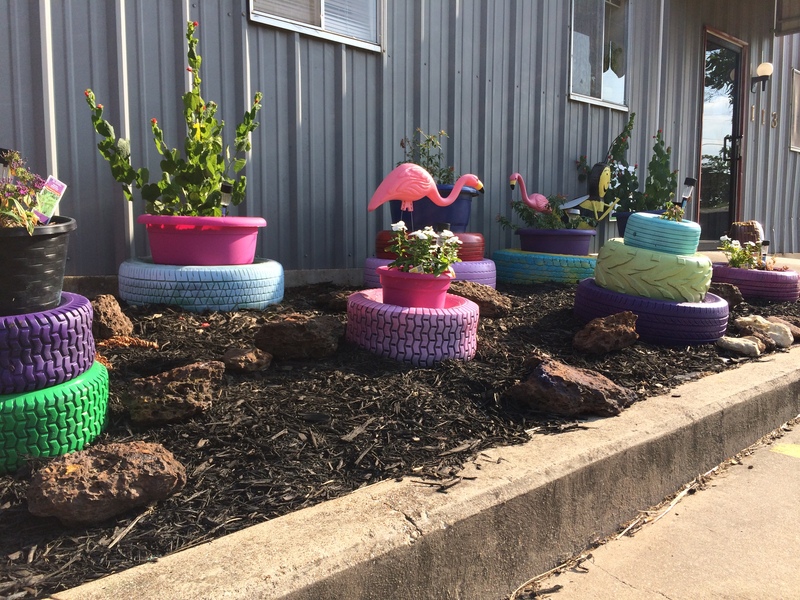 These colorful containers are at a local sheltered workshop that employees adults with developmental disabilities. 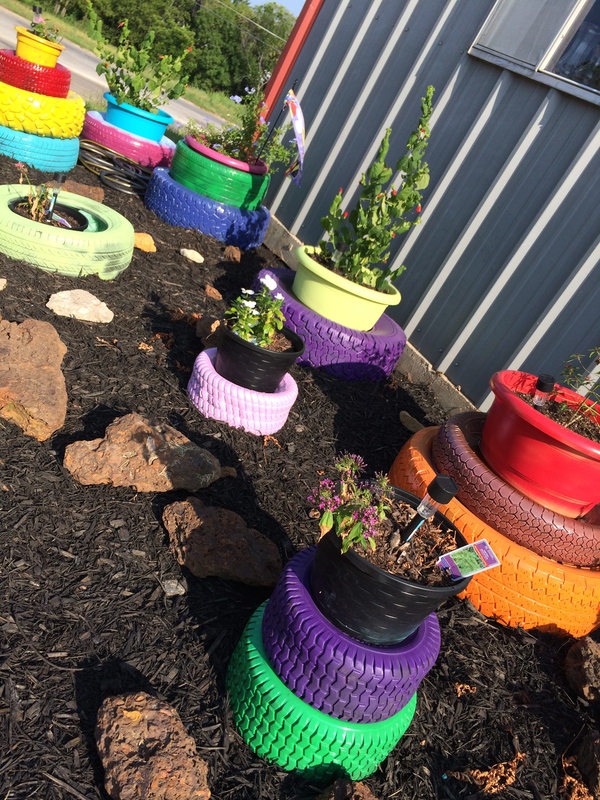 The clients participated in creating this colorful flowerbed. This entry was posted in Uncategorized on July 23, 2014 by treerabold. Lovely pot containers and I love the way they have used tyres (they are tyres, aren’t they?). Everything looks so wonderfully colourful which must look great in the winter months, just as much as the summer ones. The containers were recently put in. But I’m sure they will help brighten the day come winter! These are so colorful and eyecatching! 🙂 Quite fun aren’t they?